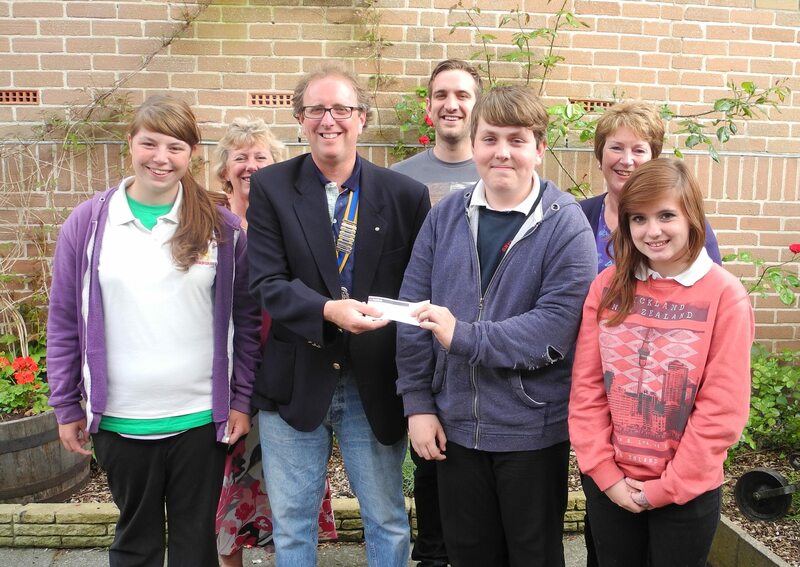 A cheque for £500 was handed over to members of Sherborne Youth Club at our meeting on the 17th June by President Nick to support the Kaleidoscope Project being run from the Youth Club in Tinneys Lane. The project provides a 20 week group work programme one day a week for young people in Year 9 and above. The course consists of workshops, off site activities and discussion groups. The group are guided by experienced youth workers and tackle a wide range of life skills and issues including target setting, team building, communication skills, poor motivation, self-esteem and anger management.